Good Friday is observed primarily by Christians commemorating the crucifixion of Jesus Christ and his death at Calvary. The estimated year of Good Friday is AD 33 or AD 34. On the third day, from his crucifixion, on Sunday, jesus rose from the dead. This is now known as Easter Sunday. The Catholic Church treats Good Friday as a fast day. The period just before Good Friday is Lent. Fasting and other forms of renunciation are recommended as ways of following the example of Jesus. Liturgical services are held in the church, on this day. They start at noon and continue for the next three hours i.e. till 3 pm. Jesus is believed to have died on the Cross at three in the afternoon. Christian countries observe Good Friday in slightly different ways. The essence remains similar. It marks the culmination of Holy Week, which begins on Palm Sunday, and takes place two days before Easter Sunday. Services are aimed at allowing worshippers to experience some of the pain and humiliation that the son of God experienced for humanity. 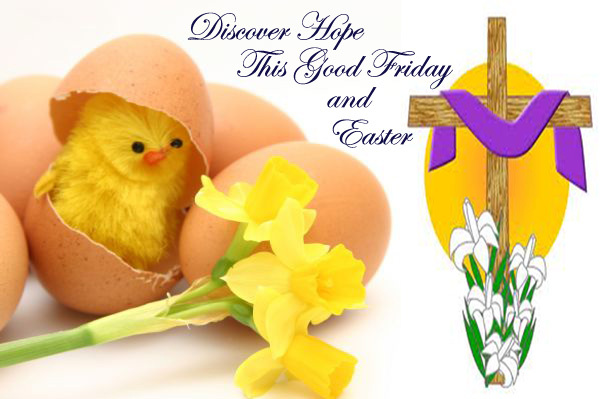 The celebrations of Easter in India commence with Lent and culminate with Easter Sunday. Christians all over, especially in Mumbai, Goa and the Northeastern states, make elaborate arrangements for Easter festivities. Easter eggs and Easter bunnies are much in demand as gifts. The exchange of colorful lanterns and replicas of the Holy Cross is also exchanged by friends and relatives. Diversity in the lifestyle and culture sees a lot of variety in the traditional Easter recipes. Next Next post: Dol Purnima or Dola Jatra marks the Holi festival celebrations in Orissa and West Bengal.